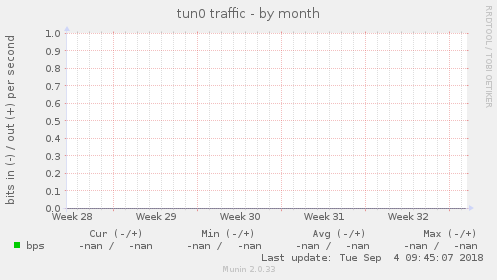 bps up derive Traffic of the tun0 interface. Unable to determine interface speed. Please run the plugin as root. This page was generated by Munin version 2.0.33 at 2019-04-19 07:25:16+0300 (EEST).